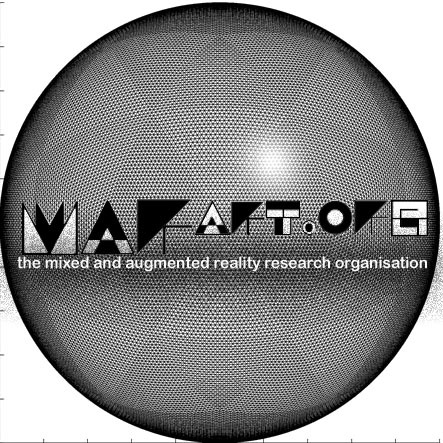 The Mixed and Augmented Reality Arts Research Organisation (MARart.org) seeks to develop new dialogues in regard to high-end research methodologies, cultural inquiry and representation in the increasingly immersive and pervasive field of mixed and augmented reality art. This initiative aims to scope the field of MARart, through the presentation and analysis of particular research outcomes, in order to develop criteria that can assess MARart’s production and position within the media arts. The research endeavours to develop strategies for hybridised research practice, in a number of open platforms that will scope current trends and exemplary models from a variety of approaches. Artistic practices in MARart will be discussed in order to locate new research paradigms that address issues including cultural absorption, post-biological identity, social codes and systems, mobile computing, commercialisation and intellectual property, with particular regard to the media art field. This launch will articulate general research goals, along with introducing the inaugural Transreal Topologies scoping series. The series will consist of 3 panels that culminate in an exhibition in partnership with The International Symposium on Mixed and Augmented Reality. The MARart launch will be opened by Professor Ross Harley on Thursday, 13th June from 12-1 pm in the New Law School Lecture Theatre 026. Will take place at the ISEA conference.